Designed to help widowed moms who feel stuck and overwhelmed in their grief and role as a solo parent and are unable to redefine their “new normal” and make positive changes in their life into a life they love where they are clear with what an inspiring “new normal” looks like and they have the motivation and support to successfully make the changes necessary. Do you lie awake at night wracked with anxiety about the responsibilities of being a solo mom? Do you long to get back the motivation and joy for life you used to enjoy before the death of your husband, but you just don’t know how? Then Surviving To Thriving: Coaching For Widowed Moms is for you. I know this is not the life you dreamed of. I know, because I’ve been there. It’s not fair that you have lost your husband and are now left to be the solo parent of the children you were supposed to raise together. You didn’t choose this, and it’s hard. But you do have control over where you go from here. I know YOU WANT TO BE ABLE TO TRULY EXPERIENCE ENJOYING LIFE AGAIN instead of just surviving and going through the motions. The future as you knew it has changed, and you are left with the struggle of figuring out WHAT LIFE LOOKS LIKE NOW AND HOW YOU CAN MANAGE IT ALL AS A SOLO MOM?! How do you get motivated to create a life you enjoy when you are burdened with loneliness, anxiety and responsibilities? Motivation to WANT to get out of bed and to look forward to your day with a SENSE OF PURPOSE. To know what is truly important to you and be confident in your decision-making about your career, relationships, your children, your finances and your future. To have clear goals that matter to you and the support and accountability to actually accomplish them. To discover what is getting in the way of you being happy and having what you want, and the courage to overcome these obstacles. More energy, peace and ease and less stress so you can feel hopeful and joyful in your life again. To sleep soundly through the night without your mind racing with worry. Time and for taking care of your health without worrying about your finances or feeling guilty about putting your self-care before taking care of your children or any other responsibilities. To have order back in your home without feeling like you are doing it all alone. To feel organized, calm and grounded. To feel strong enough to not just manage your own grief, but also to be available to support your children in their grief. The skills to parent your grieving children. To have more support so you don’t feel like you are doing it all alone. More fun and time to enjoy what you love. You just want to actually experience joy and happiness in your day-to-day life instead of just numbingly going through the motions. You don’t have to give up hope that you can love life again. You can stop worrying and feeling overwhelmed and anxious about your life and your future. I’m Jennifer Waugh and I’m here to walk the path WITH you towards a life you love. I’m a widowed mom myself, and I’m trained in supporting children and youth through grief. I’m also a professionally trained Life Coach and Lifestyle Design Coach. I help other widowed moms redesign lives they love after loss. I know what you are going through right now. When I lost my husband in 2012 after he suffered a sudden massive heart attack, life changed forever for me overnight, as I know it did for you too. With extensive training as a coach and in personal development leadership, you would think I would have been able to manage my grief better than I did. – I experienced depression for the first time in my life. – I suffered serious insomnia for the first time in my life. – I was paralyzed by the overwhelm, anxiety and worry. – I felt alone, unsupported and like no one had a clue what I was dealing with. – I sought grief counselling but felt frustrated that while the counsellor had studied grief, she had never actually experienced the kind of loss I did: She wasn’t a mother, so she couldn’t understand the added complexity that came with my husband’s death. I joined a grief support group, but there was only one other widowed mom, so I still felt like there was a huge element of my situation that they could not get or relate to. I had many coaches in my life that supported me, and although the coaching was helpful for me and was the most effective in helping me moving forward, they still had no clue as to what I was dealing with as far as the grief and solo parenting. All this time, I looked for a coach for widowed moms and I couldn’t find anyone who could offer this kind of specialized support. So I took all I knew from all my experience as a coach, did training through my local hospice, and did my own research as to what other widowed moms were also struggling with, so I could offer support and solutions for women in my situation. You don’t have to do it alone AND you can create the life you love in a lot less time than I did. MY LIFE LOOKS A LOT DIFFERENT THAN IT DID. I HAVE CREATED A LIFESTYLE THAT I LOVE AFTER LOSS. – I am confident and clear with my decision-making because I know what is important to me and what I want. – I have defined goals and am consistently motivated and in action towards accomplishing them. – I feel relaxed and at ease in my life without worry or concern about my future. – I sleep soundly through the night. – I practice yoga regularly and work out with a personal trainer. – My home is organized and in order without me having to do it all on my own. – I have an overall sense of joy, peace and ease in my life. – I went from being a stay-at-home mom before my husband died to getting two jobs to take care of my family to now running two businesses where I can work from home. – I am confidently managing my household finances with little to no interest or bank fee expenses. 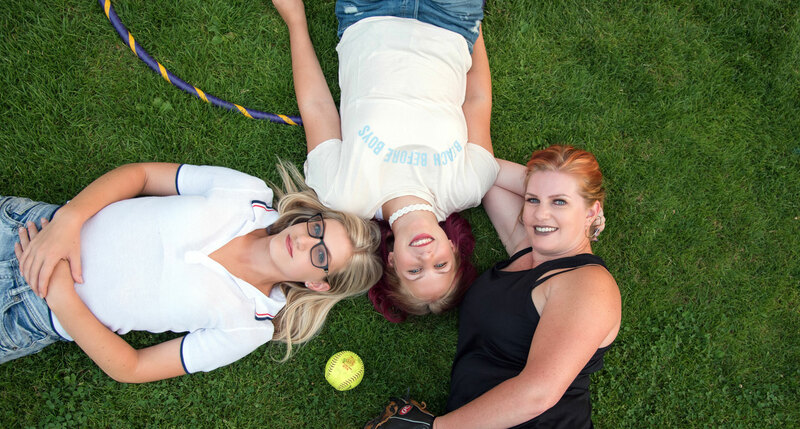 – I have wonderful relationships, communication and connection with my daughters and they are extremely grounded and happy girls following their passions for riding and competitive softball. – I have a schedule that allows me to take them to almost all of their daily activities and attend all of their events. – We create regular opportunities for quality time as a family, including travelling together several times a year, often without costing us a lot of extra money. – I creatively completed a major renovation of my home without adding any additional monthly expenses to my budget. – I have a loving and connected relationship with an amazing man who my daughters both love and adore. – I have redesigned a life I love and now experience true joy and happiness again. AND NOW I WANT TO HELP YOU TO RE-DESIGN YOUR LIFE INTO ONE THAT YOU LOVE. WHY? – To get out of bed in the morning with energy and motivation, confident and clear about what is important to you and what you need to do to make it happen, and know it is possible. – To know that whatever obstacles get in your way, you can overcome them. – To value your own self-care and health. You deserve it. – To feel peaceful in your life and in your home. – To have the support you deserve. – To feel at peace with your finances. – To be able to honour your own grief as well as your children’s. – To feel confident as a parent. …And to have more fun in your life. Most widowed moms feel hopeless, overwhelmed, anxious and alone. They are afraid they won’t ever experience true happiness in their life. They feel like joy is no longer possible for them. They feel like life will never be the same after their husband’s death…like their lives can never be great again (Truthfully, it won’t ever be the same, but it can still be great). So they stay stuck for years in their sadness, grief and hopelessness without allowing joy back into their lives. Here’s the thing: their MINDSET is holding them back! They start thinking, “This won’t work for me”, “I’m not confident to make this happen”, “My situation is different and I will never be happy”. Luckily, that’s NOT you! You have been overwhelmed, anxious, lonely and depressed for long enough, and you are done just going through the motions. Now, you are ready to find a better way of living, for yourself and your children. You are ready to start taking the steps towards creating that life you know you deserve to enjoy. IT’S YOUR TIME! I don’t want you to suffer for one more day than you have to like I did! It’s a five-month, hybrid (combining online, group and one on one support) life coaching program exclusively for widowed moms just like you. I will guide you through specific processes, exercises and conversations essential to getting crystal clear on redesigning a life you will love. My clients work with me because I can relate to where they are at and I provide practical advice paired with empathy and a straightforward and matter-of-fact approach. My clients start to see their life in a whole new way and produce results they never would otherwise. MOTIVATION to design a life worth living – without guilt. You’ll develop a mindset that will leave you compelled to create a great new life that honours your husband’s memory AND gives your family hope for the future. CLARITY on what is really important to you and what it will take to redesign a life you will love. We will get crystal clear on what matters to YOU so that you confident in the steps you can take to move forward. ACCOMPLISHING GOALS. No more feeling like you know what you need to do but can’t get motivated to take action. You will have the support and accountability paired with the motivation to accomplish the goals you’ve set for yourself and your family. Decision-making made EASY. You will develop a tool that will make it easy to know what to say yes to and what you need to say no to. No more struggling with which decisions are the right ones and no more second anxiety from second-guessing your decisions instead of living joyfully in your life. CONFIDENCE to overcome OBSTACLES. You will develop a strategy for getting unstuck and overcoming obstacles like fear, guilt and lack of motivation when they come (because they will, but you’ll know exactly how to move through them instead of spiralling backwards and checking out of your life). Deep SELF-CARE. Create the time and space to take precious care of yourself. You deserve it, and in fact, you will learn how essential it is to be the best mom possible. More ENERGY, PEACE and EASE in your home and life without feeling like you have to do it all on your own. You will learn specific strategies and routines that will make keeping your home and life in order effortless. LESS STRESS, better SLEEP. You will learn practices that will reduce your stress and have you sleeping more soundly through the night. MORE TIME doing what you love. You will create ways to make more space in your life to enjoy time with your family and friends. MORE SUPPORT. You will learn how to create a network of support in your family and with your community, so you don’t feel like you are all alone. CLARITY, CONFIDENCE and EASE in dealing with your finances. You will learn techniques to handle your finances effortlessly and learn what it will take to afford the lifestyle you desire for your family. Permission and space to HONOUR your GRIEVE and your husband. There is no way to “get over” your grief, but we can help you honour the grief, make space for it and honour your husband in a way that will be healing to yourself and your family. Skills to support your GRIEVING CHILD. 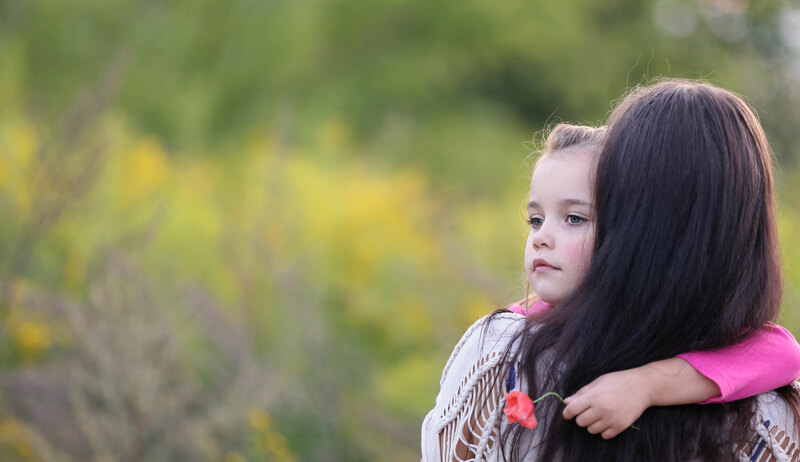 Tips and strategies for supporting your children through their grief. More FUN in your life. You will uncover what you and your family love to do and find ways to incorporate more fun into your life (even if you don’t feel like getting out of bed) that will result in more joy and aliveness. Why choose a hybrid program for your support? You have the benefits of an online self-study program that provides you with the flexibility of learning the mindset and strategies I will be introducing you to, at a time that is convenient for you. Receive coaching in areas of your life where you are stuck on our weekly live group coaching calls as well as feedback from other widowed moms just like you who have faced similar challenges. You won’t feel alone anymore when you join our group calls and hear so many other widowed moms that are not just faced with similar challenges as you but who are making positive changes to overcome them in this program. On the live group calls, we can help you with getting clear with what is next for you to accomplish to take you one step closer to creating the life you desire and support you with being accountable with doing what you said you want to do. You will have the opportunity for monthly one on one coaching with me where you can bring any topic to the call that you would like coaching on and perhaps topics that are more private in nature that you don’t want to share on our group calls. In our secret Facebook group, you will have the space to get feedback from a group of inspiring widowed moms who not only can relate to your challenges but who are committed to not using their challenges as excuses and will encourage you to overcome your obstacles and celebrate your accomplishments. Sixteen online modules including video delivered to you three times a month. Weekly LIVE group Q&A and Accountability calls where you have the opportunity to ask questions, request 1:1 coaching to address any challenges you are currently facing and to support you in accomplishing your goals. This is also a great opportunity to experience being in a community of other widowed moms like you who also desire to be proactive about creating a life they love. Monthly fifty-minute, one-on-one private calls (five in total). You’ll also get full email access to me. Email me throughout the program and I will respond to you as soon as I can and support you the best way I can via email. Access to my secret Facebook group that was created exclusively for widowed moms in this program who desire and are actively engaged in redesigning a life they love. What happens after you apply for the program? You will choose a time on my calendar that works for you for us to have a one on one conversion. We will have the opportunity to discuss the current specific challenges you are currently dealing with and discuss any ideas you might already have about what you want more of in your life. If we both agree you are a fit for the program I will invite you into the program and answer any questions you might have and go over the program cost and payment options with you. If you choose to join the program I will enrol you immediately and you will have immediate access to your first online course module that will include all the logistics of the program and the call details. The weekly live group calls will be recorded if there are any calls you miss you can go back and listen to the recording at your leisure. Ready to transform your life and redesign a life you love? Apply now so you don’t have to wait one more day feeling alone, stuck and overwhelmed! Still not sure if it’s right for you? Surviving To Thriving: Coaching For Widowed Moms is no ordinary kind of training! It is designed exclusively for widowed moms, and I have not found any program that comes even close to what I have created for you. Not only will you be guided through a specific set of exercises and processes, but you will also get practical strategies and tips that have worked for me and many of my clients. The program is structured yet flexible to leave space in our session for you to get coaching on whatever you are challenged with in your life right now. There are many options out there for grief support and counselling. This is NOT grief counselling. Grief counselling is great and has its place to help you with processing the trauma and any problems you might have in dealing with your grief. This program is very different, as it is designed to take you from wherever you are right now to where you want to go–even if you don’t know where that is yet. It is both transformational AND practical. It’s an inside-out approach to creating a powerful vision for your life that inspires and motivates you. No matter how stuck you feel right now, or how many times you may have tried and failed, or how afraid you are to make a commitment to make this change in your life, YOU CAN DO THIS! I BELIEVE IN YOU! You and your family deserve to live a life you love regardless of your past challenges or your current circumstances. In these five months together, I will be your cheerleader, your partner, your advocate and guide as you create and take action towards a life you love. You’ll complete the program knowing exactly what you want, you’ll have the motivation to continue on the path to making it a reality and you’ll be confident in your ability to make the required changes. You are done with being stuck, overwhelmed and worried about your future and are ready to feel confident about where you are going in life again. If you are ready to get crystal clear and take action on the great life that is ready and waiting for you to create. You are exhausted from the stress and lack of sleep and are ready to get your energy, peace and joy back. If you are ready to feel supported. If you are ready to be happy in your life again without the guilt. You want to remain being a victim and stay stuck where you are. You still want to blame your unfair circumstances as an excuse to why you are where you are. If you are lazy and don’t want to make the effort to make any changes. If you are set on being right about how unfair your circumstance is and think you already know all the answers even though you know your life is not working the way it is right now. You can keep going it alone and stay stuck for years. I can’t tell you how often I hear other widowed moms in my Facebook group complain ten years after their husband dies that they are still depressed and unhappy and afraid to move on. Or you can put an end to it right now and join my program, where I will guide you to the life you love and deserve to enjoy. When will my session calls be? You will have access to my calendar and be able to schedule your sessions at a convenient time for you. My life as a solo mom is busy. What happens if something comes up and I need to reschedule my 1:1 session time? No problem, I understand. You are free to reschedule any of your sessions at your convenience up to twenty-four hours prior to your scheduled time. You will have a link on the bottom of your appointment confirmation that will make that easy for you. Is there a payment plan? Yes, we can accommodate a payment plan for you. I have more questions! No problem. If you have any additional questions, just submit them using this contact form.